The smell of fresh tea and success radiated from the Health Science Campus of California Baptist University as stories of accomplishment and hard work poured into the hearts of the future women in medicine. The American Medical Women’s Association Chapter at CBU held its Second Annual Spring Tea Party April 9 to close its events for the year. The AMWA is a national organization founded in 1915 that aims to develop opportunities for women to become successful in medicine while also advancing women’s health. “This club has meant a lot to be a part of an organization that is run by women and for women to benefit women,” said Maria Perez, senior health science major and president of CBU’s chapter of the AMWA. For years, the association has worked to established gender equality in the medical field. The tea party included panelists ranging from different medical fields and distinct stages of success, providing personal stories and visions of hope toward the growth of the Health Science majors at CBU. Speakers at the event individually took an in-depth look at their schooling, careers and family life. Among the speakers was Frankie LaGrone, a second-year podiatry graduate student at Western University of Health Sciences. “You can really do whatever you want to do as long as you put your heart into it and put your work into it. Anything can happen,” LaGrone said. The club members were given time to meet and talk to the guest speakers to answer individual questions. 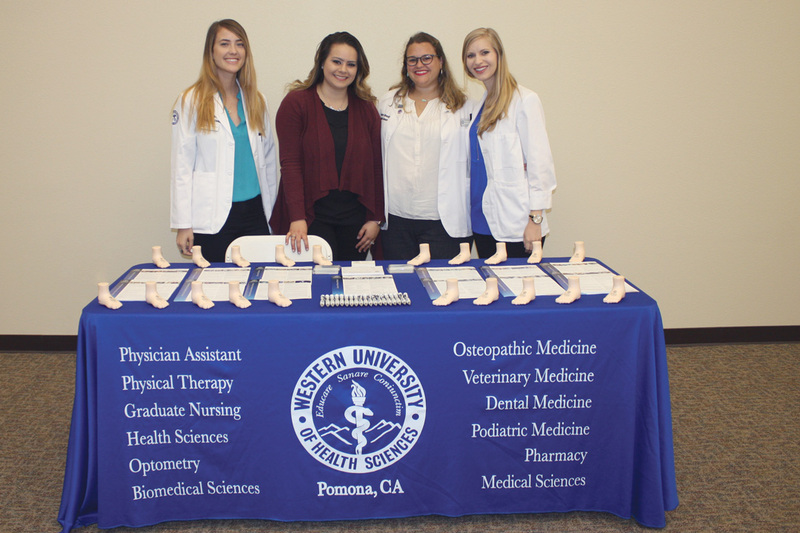 The club members said they hope to continue their events and continue to establish equality for women in the field of medicine as their chapter at CBU continues to grow each year.